If American Pie is ripe for a reunion movie, then that means that some of our other favourite films from that era are too. Take a look at what we hope to see! 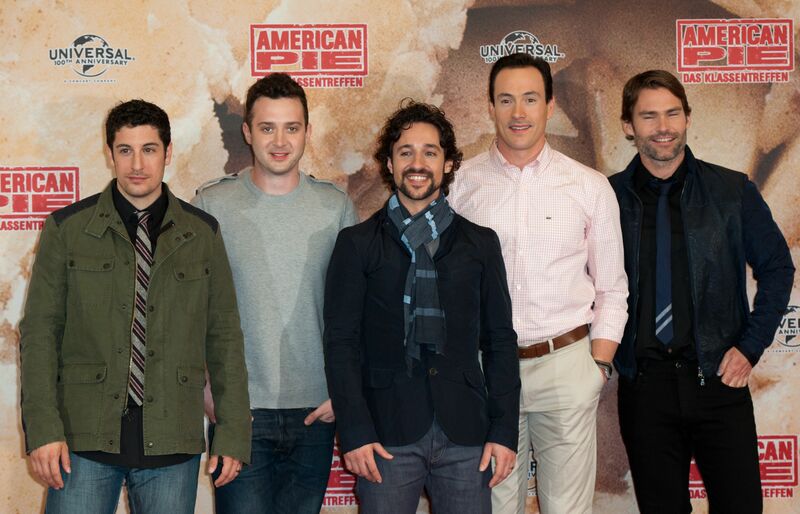 Great news for pastry fetishists everywhere: American Reunion comes out next week. It has been 13 years since the world first met Jim, Kevin, Oz and Finch — the four best friends who went to obscene lengths to fulfill their pact of losing their virginty by prom night. The original American Pie has had a few sequels and countless straight-to-DVD spin-offs, but none of them was nearly as anticipated as the big screen reunion that is to come. Fans everywhere, now over a decade older and wiser, are gearing up for some serious nostalgia and laughs, as they are struck with the fond memories of their first time seeing Jim and Finch, now all grown up, getting it on with a pie and Stifler’s mom, respectively. Few women in their 20s and 30s can deny the impact that Clueless had on their younger selves. Clueless made us all run out and buy mini skirts, knee highs and platforms, and caused girls everywhere to dream sweet dreams of rotating closets full of designer clothes. It gave us invaluable catch phrases — “As if!” and “Whatever” (with the obligatory W sign) — and boasts perhaps one of the most quotable scripts ever. Most of all, it gave us Cher, Dionne and Tai (played by the late Brittany Murphy). Enough time has passed for the leading ladies to have graduated high school and even started families, and it’s about time we found out what they’re up to. We’re picturing a very chic Dionne and Cher, the very essence of fashionable moms strolling Rodeo drive, with two little princesses of their own. And, of course, their faithful husbands, Murray and Josh, by their sides. Are they professionals? How big are their closets? What are they like as wives? As mothers? Let’s just hope Cher doesn’t chew her child’s food before she eats it, a la Alicia Silverstone. Before there was Black Swan and So You Think You Can Dance, there was Centre Stage. This movie made everyone want to be a ballerina — even people who hated dancing. Now that it’s been 12 years, we figure many of the characters may be reaching the ends of their careers, or perhaps don’t even dance anymore. A reunion movie for Centre Stage could go in many directions, but ideally, we’d love to see something along the lines of Cooper acting as the new head of ABC, with Eva as one of its most esteemed teachers. Perhaps Jodie, now a happily retired ballerina, has a daughter who attends ABC. And is that Maureen we just saw skulking through the halls? It’d be a new class of dancers with some familiar faces, together again after all this time. Ready? A 5-6-7-8! Hey, if Scream 4 got made, then it’s little cousin can get some new life too! Many of the original cast members didn’t make it out alive past the sequel (we will discount the straight-to-DVD sequel, I’ll Always Know What You Did Last Summer, which featured none of the originals whatsoever), but as far as we can tell, Jennifer Love Hewitt‘s character, Julie, and Freddie Prinze Jr.’s character, Ray, haven’t been killed. That’s more than enough for a reunion movie, in our opinions. Like Scream 4, an IKWYDLS revamp would be a reunion for only a couple of the original’s leads (Julie and Ray, natch). They might be peripheral characters in a movie featuring a crop of hot new leads ripe for the killin’. But they’d no doubt serve critical roles in the film, providing the victims with advice and even helping them find the killer. Maybe the killer could end up being one (or both) of them! It’s enough to give you goosebumps of nostalgia. Amerca’s Next Top Model: Versatility or likeability?